American surgeons have removed an “ evil twin” from an Indian woman’s brain. 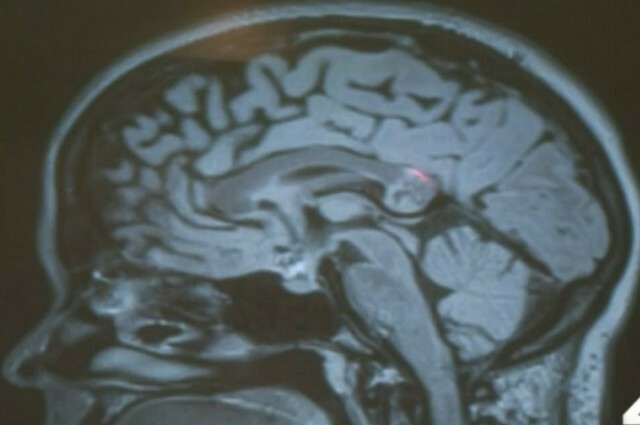 A scan of Karanam’s brain highlighting the “evil twin” tumor. Photo credit: Skull Base Institute, Los Angeles. 26 year old Indian born Yamini Karanam studying in Indianpolis had been diagnosed with a brain tumor. But when doctors at the Skullbase Institute in Los Angeles started surgery to remove the tumor they discovered something much weirder – a clump of bone hair and teeth. 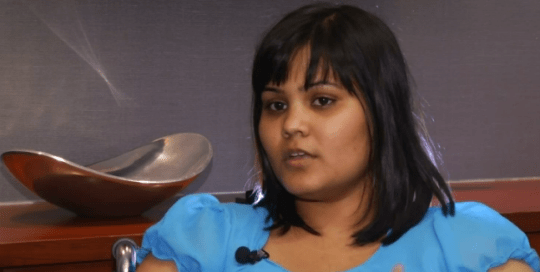 Yamini Karanam who had an “evil twin” growing in her brain. Katanam’s tumor was what is known as a teratoma – it’s the remains of another embryo – her “twin” – that had developed along side Karanam while in her mother’s womb. The teratoma was successfully removed by Dr Hrayr Shahinian, and he expects Karanam a Phd student at Indiana University’s School of Informatics, to make a full recovery. Teratomas can grow in other places in the body: Sanju Bhagat had a twin growing in his stomach.